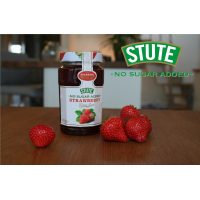 Stute Foods, the diabetic marmalade manufacturer, that produces marmalade with no added sugar. Certified by Sugarwise, the marmalade produced by Stute Foods is suitable for diabetic patients. Stute Foods offers a healthier alternative to ordinary marmalades. 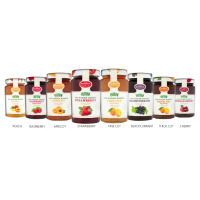 Stute Foods diabetic marmalades are ideal for diabetics. 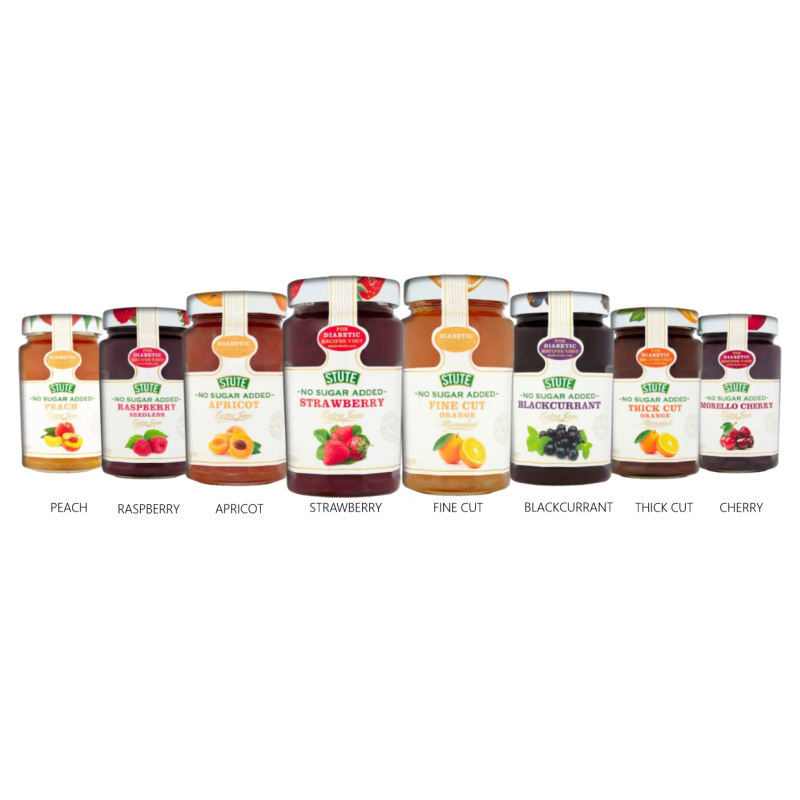 It is also ideal for anyone who wants to live a healthier lifestyle by reducing their sugar intake. The marmalade does not contain any artificial preservatives, colouring or flavouring. 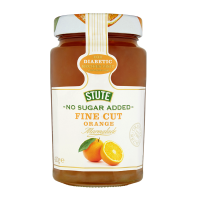 Stute Foods manufactures two varieties of marmalades; fine cut orange marmalade and thick cut orange marmalade. 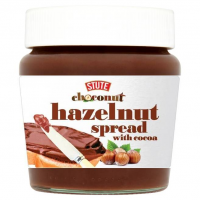 The marmalade is an original recipe by Stute Foods. 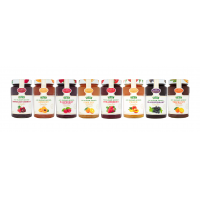 The marmalade contains 90% less sugar and 30% less calories per 100gm compared to regular marmalades. The marmalade is an original recipe by Stute Foods. The marmalade contains 90% less sugar, 30% less calories and 40% more fruit content per 100gm than standard marmalade. The minimum order requirement is 1 mixed pallet. 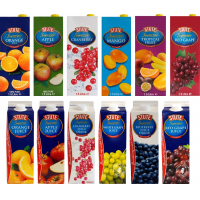 For more information on Stute Foods or how to become a distributor, contact us now.